Body By Brent (B3) is a private personal training studio designed for those looking to make a serious commitment to their long-term health. B3 provides clients with an unparalleled environment in which they can work toward measureable improvements both inside and outside the training facility. 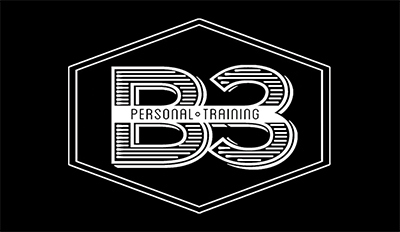 With an emphasis on individualized goals and needs, each client is provided with unique programming using the B3 proprietary method of training. The B3 method of training develops a balanced approach to fitness beginning with a strong functional foundation based on science. The Certified Personal Trainers at B3 specialize in working with clients that have a deep desire to become their best and live a high performance lifestyle. Office is located in Doylestown, Pennsylvania. Body By Brent is led by President and Founder, Brent Hartman. Body By Brent’s Certified Personal Trainers work with clients in our private personal training facility or in the privacy of your own home. Our Certified Personal Trainers are committed to helping you reach your goals and become a success. We teach you how to develop attainable habits that fit your schedule and manageable for long-term results. Each client starts off with a thorough assessment. This process involves us taking a close look at your health history, training experience, movement assessment and many more factors. Using the information gathered during the assessment, we will design an individualized training program. The attention to detail featured in each and every program requires that we take our time to do it right. As a result, your individualized training materials will be provided upon return for your second visit. You will be closely coached through the entirety of the program by one of our Certified Personal Trainers. Body By Brent’s Health Alliance Partners include industry leading experts in the Bucks and Montgomery County areas. These partners help Body By Brent deliver an integrated solution aligned with client’s needs. Body By Brent’s Health Alliance Partners include Functional Origins. For more information, please follow Body By Brent on LinkedIn, Twitter, Facebook, Google+ or our YouTube channel.